Spiritual people who have written about their spiritual path usually have unique stories, but my journey was far more outlandish than most. I would say that my spiritual journey starts based on religion making me an atheist. I was a devout atheist for ten years, even though I could read people quite well and saw things that I didn’t understand. The Creator has an interesting way to reach each one of us and he found mine through a man named Gideon. This is the story of my induction into the bizarre, nominally Christian cult calling itself The Family, originally known as Children of God. My story, however, is not about Christianity but about love, lust, betrayal, mind control, mental abuse, health crisis, and lack of care. In 1978, as a naive ailing 26 year old, I have a chance encounter in a Los Angeles shopping center with, a missionary named Gideon who introduced me to his dreams, desires, and deceptions. Lured by his seeming devotion to me and to God, as well as his sizzling sexuality, and yearning for a meaningful role in the world, I fell in love—both with Gideon and the spiritual promise he was offering. What followed was a torrent of emotions, especially when I was asked to use my body to win souls for Jesus. Caught in the whirlpool of love, sacred aspiration and unbridled sexuality, I attempted to reconcile my feelings for Gideon and God with the teachings of the cult’s self-proclaimed prophet, Moses David. Through marriage to Gideon, I found myself in the battle of my life as I sought to secure his love. As my health spiraled downward I was continually berated by Gideon for my lack of faith in God and His prophet Moses David. Ultimately I learned that I had to find my own truth or lose my soul. After years of mental abuse I left Gideon and The Family. Going back into the world after The Family left me feeling like a misfit. The continual battles with Gideon over fornication and adultery left me unable to cope with the real world. 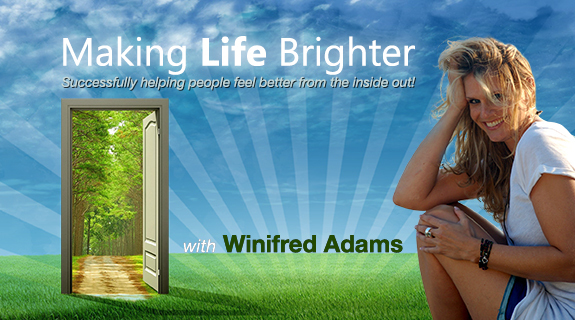 I devoted myself to education, Personal spirituality, and helping others. Eventually my health completely broke down from the effects of Fibromyalgia, Reflex Sympathetic Dystrophy, a hip injury, and a dash of Parkinson’s disease for good measure. Becoming bedridden opened up a world I was not prepared for. I expected compassion and sympathy instead I found I had to fight caregivers and doctors to stay alive, without the support of family (being deceased) and friends. I’m offering my book; the only one written from the standpoint of a person seduced into The Family at a nominal cost. Your money will go to pay caregivers. Thank you. Listen to me read the first chapter of my book. My dear friend Jacinta Feyling has written her first fictional short novel, dealing with subjects such as love, relationships and trust. How would you react if someone you trusted had a secret that was forcibly revealed to the world? 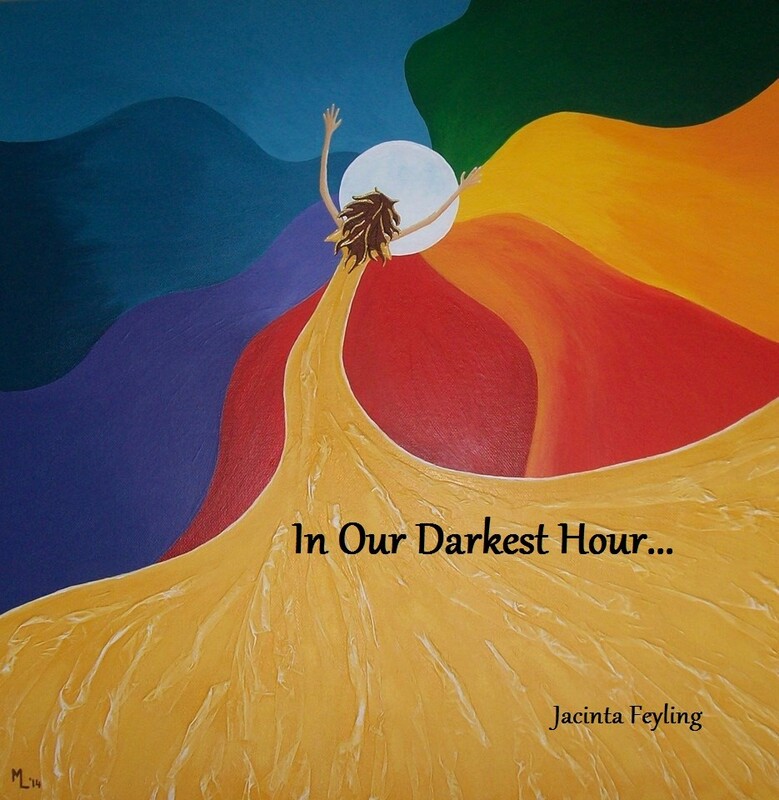 In “In Our Darkest Hour”, Jacinta is hoping to challenge the readers to search their own hearts and discover for themselves what matters most to them, and if true spirituality lies in what people tell you, or if it lies within your own heart. The inspiration for “In Our Darkest Hour” came from her ever-growing interest in spirituality and how it’s vastly different from organized religion. Sometimes your heart is the best indicator for what’s right and wrong, but in noticing that too many people gave their heart and common sense away to religious leaders, this story was written partly based on Jacinta’s own experiences. I have personally witnessed Jacinta’s spiritual growth over the ten years that I have known her and she is an astounding young lady. She has one of the most gentle and kind spirit of anyone I have met. This book is available as a PDF Download for the low cost of $5.00. Click Here To Read More And Purchase. Please consider purchasing this marvelous thought provoking novel, as not only will you be getting a great read, but you will be helping out many others. The proceeds from the sales of this book will be split 50/50 between Heal the World for Children and Michael’s Dream Foundation. In 2012 she self-published a book on her life with the autism spectrum disorder Asperger syndrome, entitled “Different but Perfect – an Aspie’s story of life so far”, Click Here to Purchase.